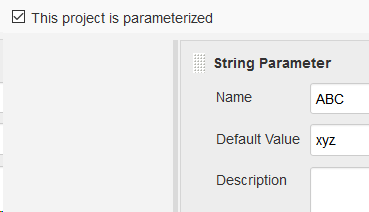 ABC is my parameter which is defined in Jenkins' project as String parameter with default value xyz. URL has value qwe. When the build is triggered from GIT, env.ABC prints xyz and not qwe. How to get the value qwe from the URL ? 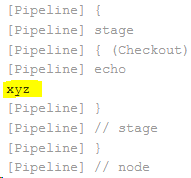 My goal is to pass versioned tag name from GIT to pipeline. To view this discussion on the web visit https://groups.google.com/d/msgid/jenkinsci-users/809d5fb5-4553-40de-8eb7-01ef775dda10%40googlegroups.com. "params" contains build parameters, "env" the environment. To view this discussion on the web visit https://groups.google.com/d/msgid/jenkinsci-users/e24195ee-68a7-44f9-a714-81170d98cb8f%40googlegroups.com. To view this discussion on the web visit https://groups.google.com/d/msgid/jenkinsci-users/b5dbd4ce-c337-4d80-bc5e-2e26c15d9e5b%40googlegroups.com.